I guess I should stop reading FUUUU Comics and start reading my textbook instead. 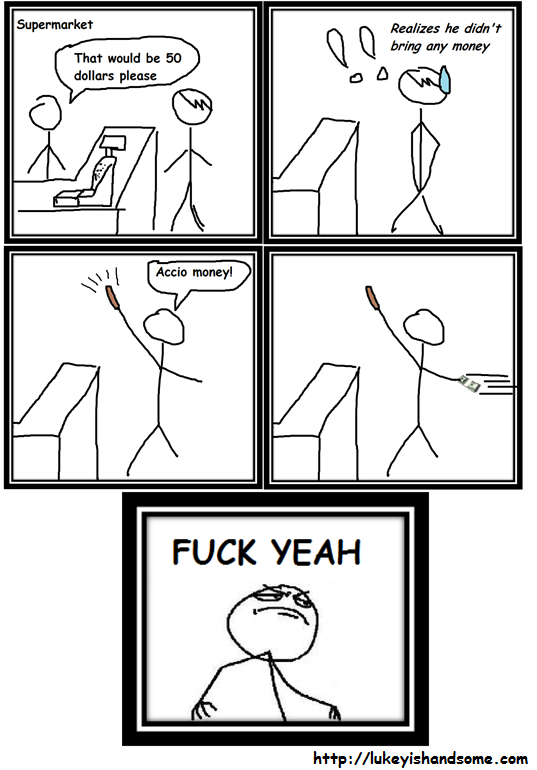 And more the reason I definitely shouldn't attempt to create my own FUUUU comics. I wonder if they will sue for copyright infringement? But you gotta admit that having magical spells is quite cool in a way. You can just Accio and things would come to you. I wonder if I'm able to get an A if I shout "Accio A!" when I'm in the exam hall.